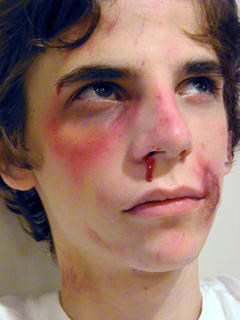 Our Injury Effects RMG makeup wheel is ideal for creating bruising, jaundice, swelling effects, and other injuries. 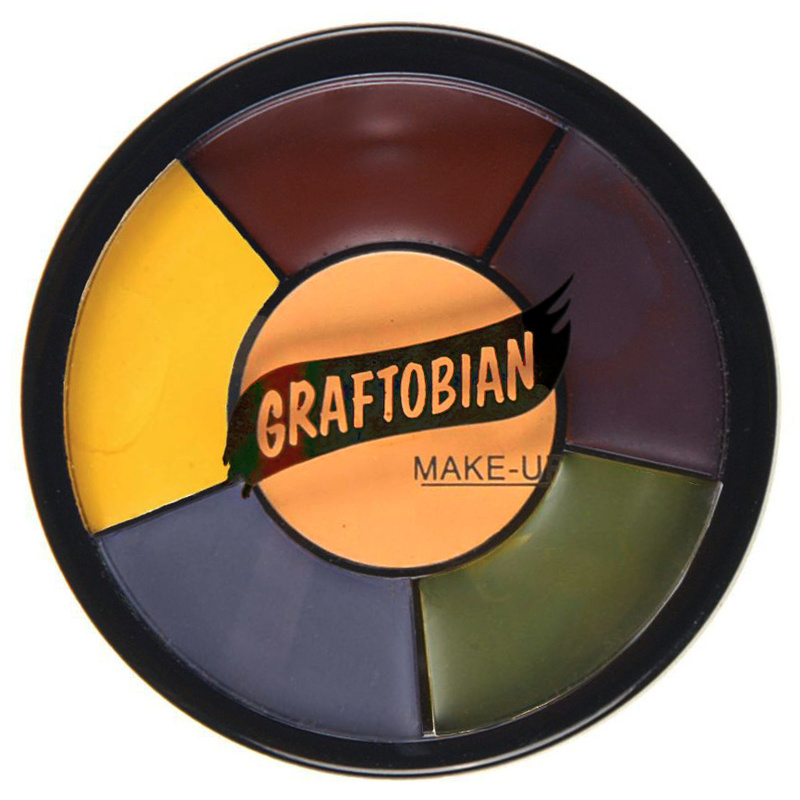 The colors included in this wheel are Warm Honey, Maroon, Dark Purple, Yellow, Forest Green, and Thunder Grey. Our injury wheel is created specifically for latex or foam latex appliances and contains castor oil so that your mask doesn’t appear chalky. The colors can be easily blended into the surrounding skin using a foam sponge or brush. Set with translucent powder. Remove with makeup cream or lotion. 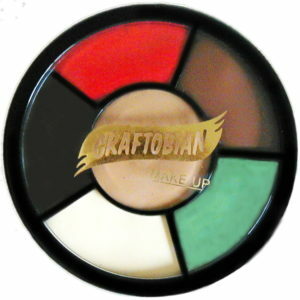 How It’s Different than a Trauma RMG Makeup Wheel? Our Trauma Effects RMG makeup wheel has different colors than our injury FX wheel and is ideal for creating zombies and mass casualty simulation. The definition: An injury is damage to the body of a human or animal while trauma is any serious injury to the body, often resulting from violence or an accident. Learn about all of our RMG wheels. Want To Learn More on Applying Makeup? Download our FREE Foam Latex Prosthetics: Make-up Application Guide (pdf). Great for both professionals and enthusiasts.